Travellers have been captivated by Jamaica for hundreds of years. Apart from its bright sunshine, golden sand beaches and warm smiles, visitors also love its natural beauty - miles of lush cane fields, rivers, waterfalls and not forgetting the Blue Mountain with its world famous coffee. Majestic sandy beaches, reggae music, jerk chicken and spiced rum - Jamaica offers visitors all the Caribbean stereotypes. 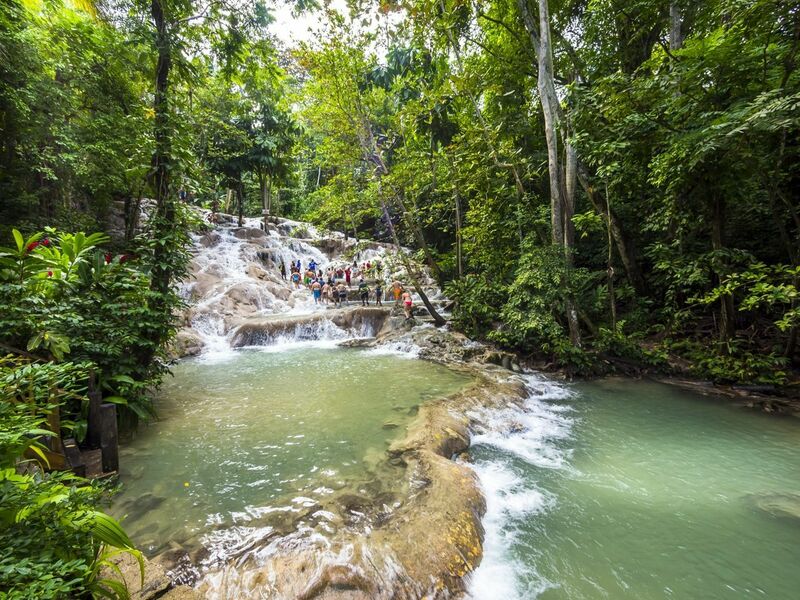 As tempting as it is to stay and laze by the beach, why not get out and about discover the famous landmarks of Jamaica, including the dramatic Dunn’s River Falls?